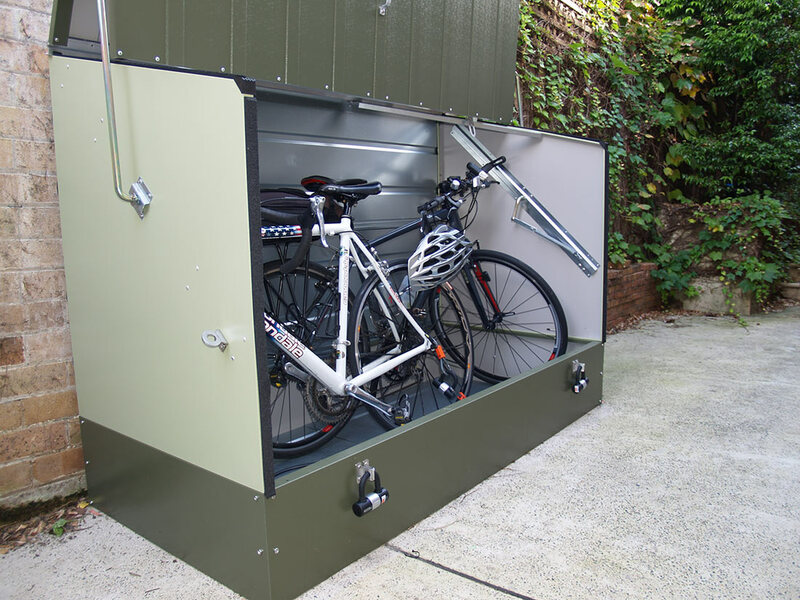 Introducing The BikeBox™ – the innovative, practical and secure bike storage cabinet that accommodates up to 3 bikes. 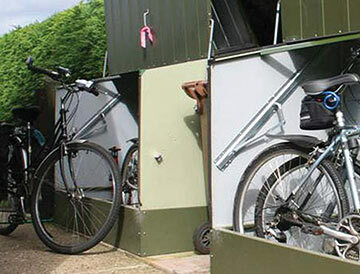 The BikeBox™ is quite unique. We have scoured the world to find the best product and found it in England. 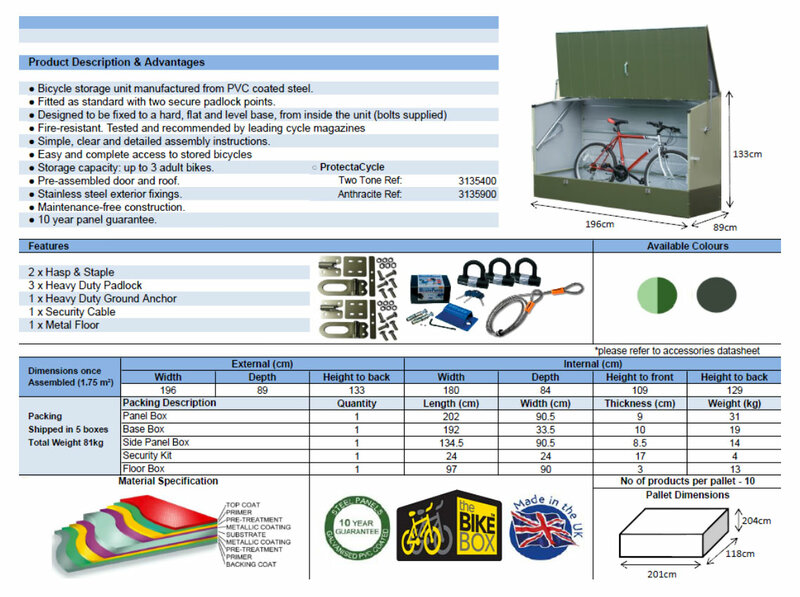 Manufactured just south of London and shipped to New Zealand and Australia, the BikeBox™ has sold in the 10s of thousands under its UK brand, and enjoys a number of endorsements and accreditations. 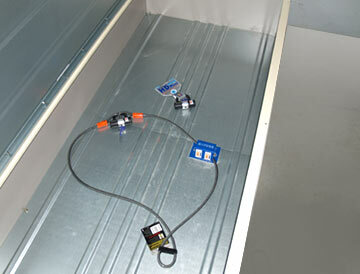 In the UK the same product is the only cycle store which has been tested and certified by the Loss Prevention Certification Board and awarded the LPS1175 Security Rating 1 and in addition has achieved the Police SBD mark (Secure By Design) “Preferred Police Specification.” It is also recommended and approved by UK insurance companies. 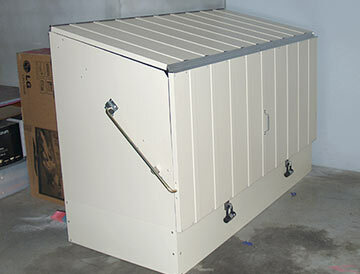 Buy The Bikebox online now at EzyNeezy Online and get FREE SHIPPING! 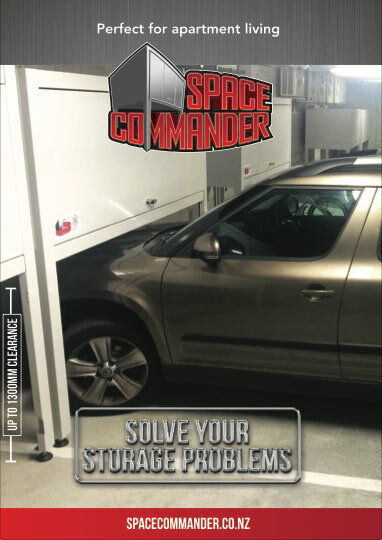 Like to know more – all good, just email us at sales@spacecommander.co.nz or call us on 0800 952 952 and we’d be happy to answer your questions. 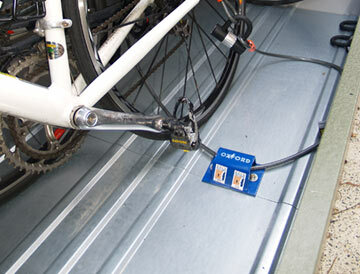 The BikeBox™ comes complete with easy to follow, step by step, comprehensive installation instructions for “Do-it-yourself” installation. 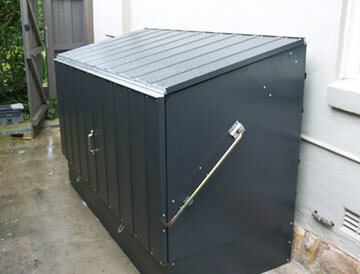 The BikeBox™ is designed to be bolted down onto a hard concrete base (or timber deck) which must be level and flat (if you need to create this, a concrete slab or heavy concrete paver base will work).